Observation - Unknown bee (5) - UK and Ireland. 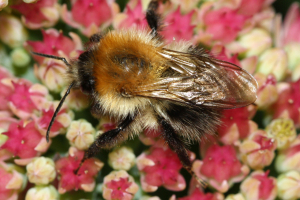 Description: On Sedum spectabile - last 2009 carder bee posting from me! Thanks for all the advice so far. On Sedum spectabile - last 2009 carder bee posting from me! Thanks for all the advice so far.